This system is used to manage the distributors’ business operations. Each operations or transactions done by the distributors are stored in the SQL database. The distributors then will extract out the data to XML format and send it’s to the supplier for business analysis. Through this system, supplier enable to forecast the stock re-order level for the distributors and increase their sales performance. We have also applications running on Palm Top or Pocket PCs to be used as input devices for the distributor system. The mobile devices are optional. DIS is suitable for large and small distributors. One user or multiple users can use the system as it can be standalone or networked. This system is used to manage the distributors' business operations. Each operations or transactions done by the distributors are stored in the SQL database. The distributors then will extract out the data to XML format and send it's to the supplier for business analysis. Through this system, supplier enable to forecast the stock re-order level for the distributors and increase their sales performance. Reduce paperwork and improve accuracy of data such as write-offs, trade claims, FOC, etc. Reduce manual reports such as sales commissions, sales reports, etc. 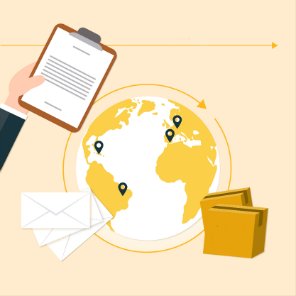 Due to infrastructure and line speed at distributor premises, we proposed to use a data collection via a distributor system called Distributor Information System (DIS) and specific data is sent via e-mail to the HQ as required. This is the most cost-effective method for both distributors and HQ. The data from distributors can be sent to an Internet website and the data is downloaded daily or periodically from Internet to HQ.